A high–quality air conditioning system is necessary for you to live comfortably throughout the cooling season here in Raleigh. Just as important as the quality of the system itself, though, is the quality of the services you schedule for your air conditioner. If your air conditioning installation or replacement service is not completed by a skilled, qualified professional, there is just no way that you can expect to enjoy the full potential of its cooling performance. The Raleigh, NC air conditioning installation and replacement professionals at Ideal Services Heating & Cooling can ensure that your AC installation or replacement is completed properly. Contact us today to request an estimate on air conditioning installation in Raleigh, NC and the surrounding area. If you fail to schedule a professional Raleigh, NC air conditioning installation, you are putting your comfort at risk this cooling season. To get the high–quality air conditioning installation you need to beat the heat this summer, call Ideal Services Heating & Cooling. We can help ensure that your air conditioner operates at peak efficiency and performance levels. The actual installation of your new air conditioning system is, of course, integral to its operation. However, even before the actual installation there are a number of factors that must be considered. 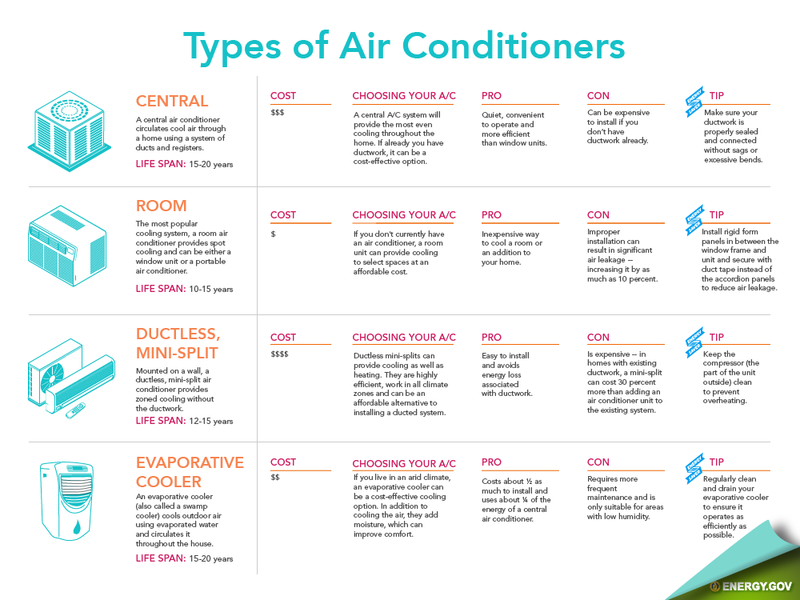 There are a great number of home cooling options that you may choose from, and finding the one best suited to your home and personal needs can be challenging. By working with a qualified Raleigh, NC air conditioning installation technician, you can get the advice and information you need to make the right decisions about your new air conditioning system. Even the sizing of your AC plays a big role in the quality of its performance. If your new system is too small it will struggle to cool your home and will work inefficiently as a result. Of course, a system that is too large is no better. This will cause it to bring temperatures down to quickly, resulting in reduced indoor air quality and causing your AC to short cycle frequently, risking damage to the system. Once you’ve chosen your air conditioning system and had it properly sized, our technicians will complete an exceptional air conditioning installation worthy of our reputation. Deciding to replace your air conditioning system is a big decision to make. It is important that you make this decision with the confidence that you are doing the right thing. Ideal Services Heating & Cooling can help. We will weigh your options and consider factors such as the age of your air conditioning system, the quality of its performance, and its repair needs. Then you can make an informed decision about replacing the system. If you decide to replace your AC system, the Raleigh, NC air conditioning replacement technicians on our team can handle the rest. For best results, we’re also here to provide regular air conditioning maintenance and repair for the life of your system. Your air conditioning installation and replacement services must be completed by a qualified contractor for the best performance. The HVAC contractors at Ideal Services Heating & Cooling have extensive training and certifications to ensure installation with top performance. Simply give us a call to schedule air conditioning installation in Raleigh, NC and the surrounding area. Our friendly team will help you find the best AC system for your home and your family’s needs.